This is one of the best cakes we’ve ever had in our kitchen. This week’s #Bakeoftheweek was supposed to be a super Valentine’s Chocolate Cake but the arrival of this beauty has relegated the chocolate delight until tomorrow. 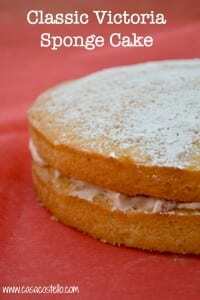 Why is this Victoria Sponge so special? Because I didn’t make it! This is the creation of eldest daughter, Millie Aged 13. She is having a few Thursday afternoons off school over the coming week due to Parent’s evening (That’s a tale for another day – seriously the whole school are missing 5 afternoons of school because of parent’s evening!). I already had plans so Millie had the kitchen to herself and this is what she came up with. 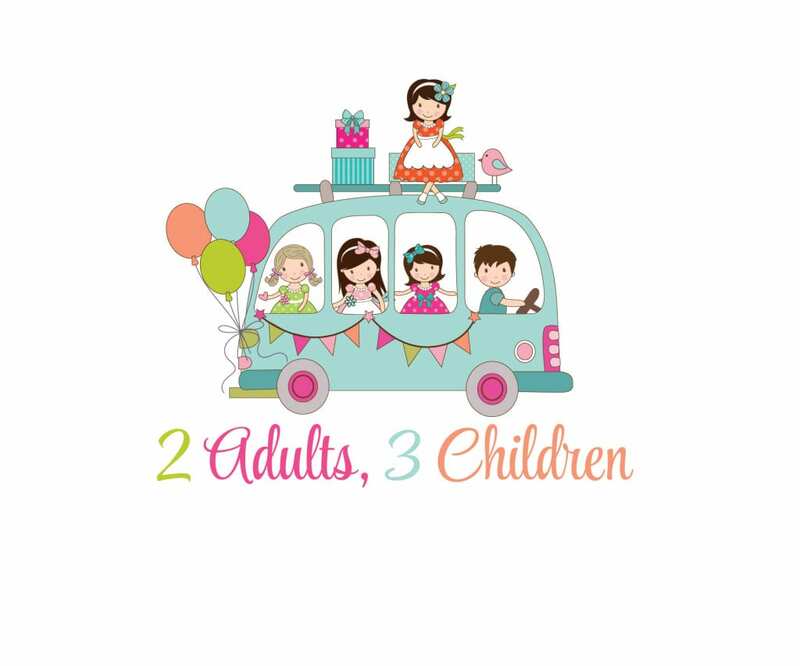 I always wanted this blog to be about our family not just food and this is definitely the creation that we are most pleased with this week. Not only did it taste absolutely delicious (And I’m REALLY fussy about eating other people’s cake) but the best thing of all was she washed up after herself and the place was completely spotless afterwards. I cannot share the recipe as she is not here to ask and I strongly suspect that it came out of a book rather than her favourite food blog. I can share my own recipe for Victoria Sponge though! This cake is fine to be frozen before the jam and cream is added. Protect it by wrapping in baking parchment, then a layer of tin foil, then wrapping in plastic bag. Defrost in the baking parchment but remove the bag and foil. Keep whisking while you add the eggs, 1 at a time. Clear down the sides of the bowl as you go along to make sure it is all mixed together evenly. Add the vanilla. The beauty of this type of cake is the number of flavours that can be added to change the flavour. 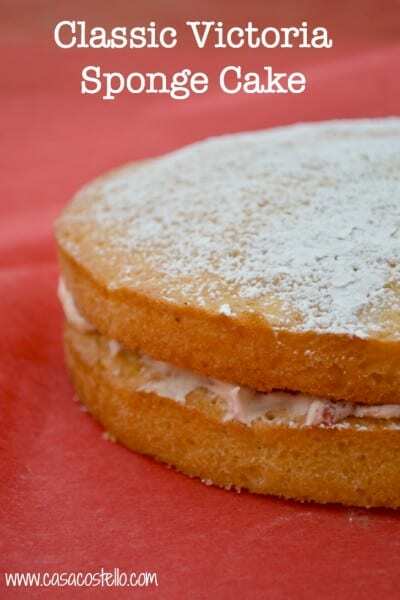 Even a simple jam and cream inside with a sprinkling of icing sugar on top can make a Victoria Sponge a wonderful centrepiece. 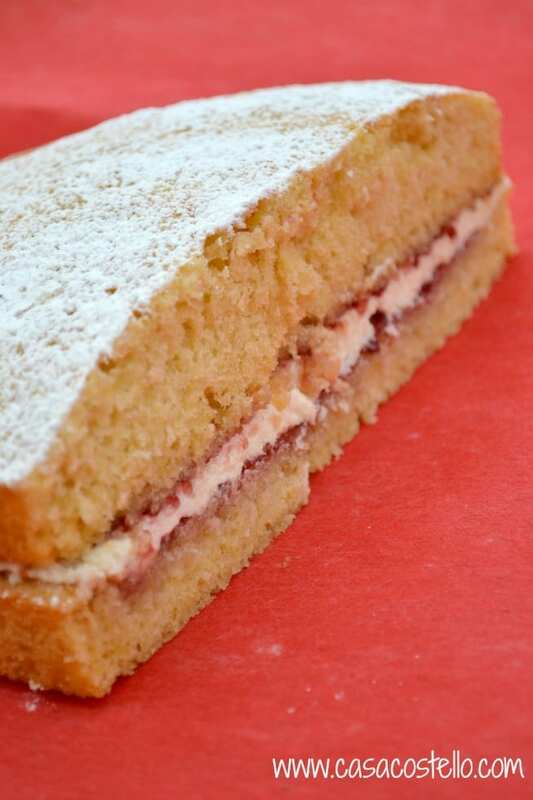 The secret to a good Victoria Sponge is to use the folding in method – Handle the flour as little as possible and you should get a light and airy cake. My featured bake from our latest roundup of Bake of the Week entries comes from Elizabeth’s Kitchen Diary – It is lovely to be able to welcome Elizabeth back to the #Bakeoftheweek gang with her super creative Steampunk Cupcakes. I urge you to read her post all about how they came about and wish Elizabeth and Mr Elizabeth a very happy wedding anniversary! 2. Great creative variations for chocolate dipped almond cookies from ET Speaks From Home. Perfect for using up your rice flour. 3. 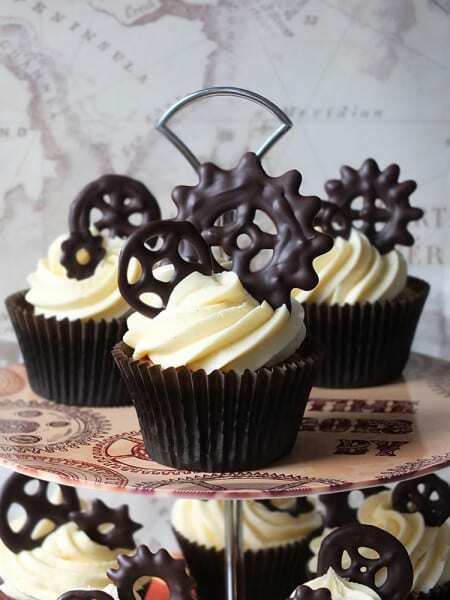 These Vegan Gluten Free Mini Chocolate Cakes are so cute yet look rather luxurious from the Gluten Free Alchemist. 4. Definitely a first time I’ve heard of a Slow Cooked Scones and even better that is is a Nutella Slow Cooked Giant Scone from Baking Queen 74. 5. Perfect for picnics – I can see us taking some of this to our many swimming journeys, Nutella Crunch from ET Speaks From Home. 6. Totally incredible Vegan Twix Bars from Family Friends Food – Why would you ever need to go out to buy shop bought again? 7. What child doesn’t like a gingerbread man to nibble on? I know my kids would love Nic Bakes’ Gingerbread. 8. I would love a trip to Guernsey if only to experience some Guernsey Gache – Or I could make Tales from the Kitchen Shed’s recipe and save myself the journey. 9. Hoping Jam & Clotted Cream didn’t have the miserable birthday that she was anticipating – Her Vanilla Raspberry Cupcakes would certainly cheer me up! 10. 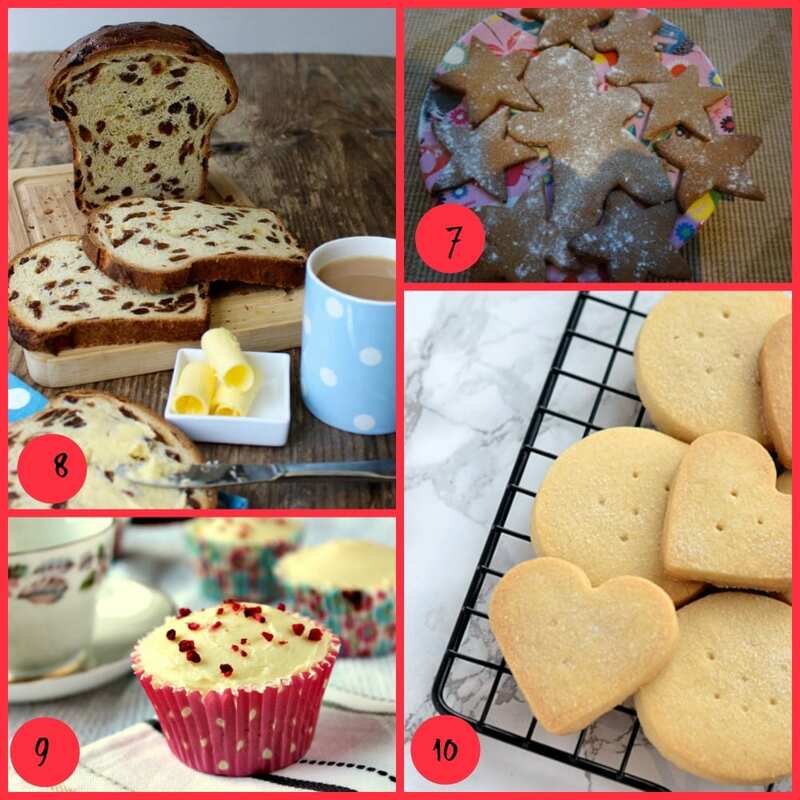 Another versatile recipe from Baking with Granny – there are no end of ways that you can play around with these Shortbread, or you could just enjoy their plain buttery, crumbly gloriousness! 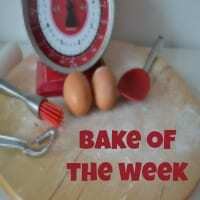 We are now open for the next set of Bakes of the Week – Its my plan to really go to town this week and get as many of us bakers, sharing bakes as possible. 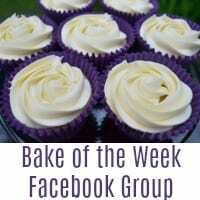 Up to 3 bakes per blog please. I will comment, tweet, pin, Yum, Stumble & G+ as we go along. Ooh thiat looks soo tempting, Victoria Sponge is my absolute favourite cake, hence my vegan version I’ve just entered in #BakeoftheWeek. Delish! I’m always craving cake – totally agree that Victoria Sponge is the Queen of cake though! I love a good victoria sponge. Nothing beats. 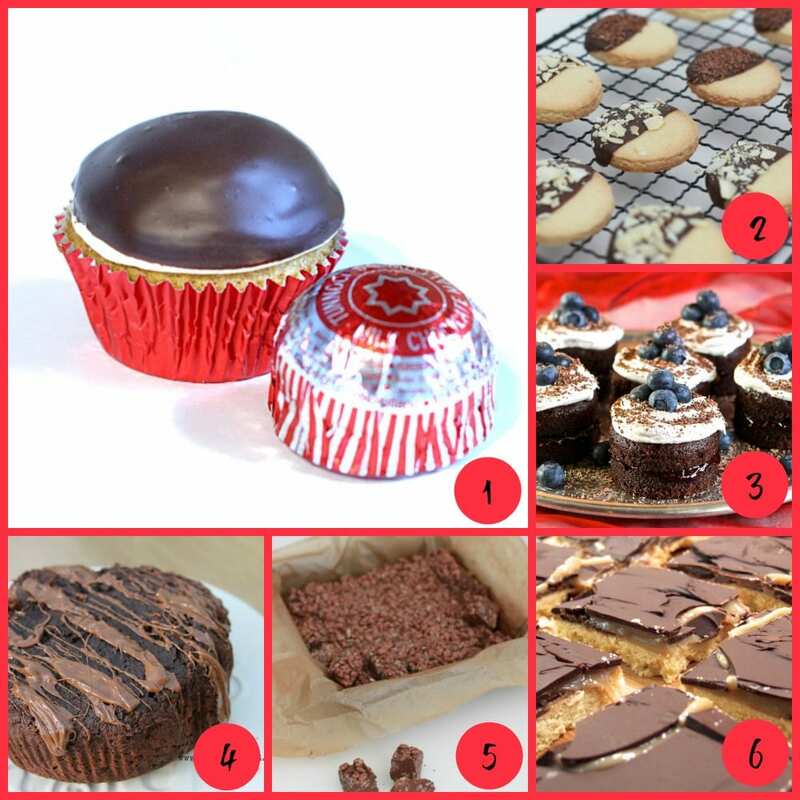 Some goergous bakes in the roundup too. This cake looks so wonderful, well done Millie! Can she come and give my Sarah lessons in tidying up? The cakes we get are gorgeous… but the tidying up!!!! Sponge cakes are always so tasty and nice! There are lots of different creams and berries that we can add to this cake! 🙂 Your looks fantastic!